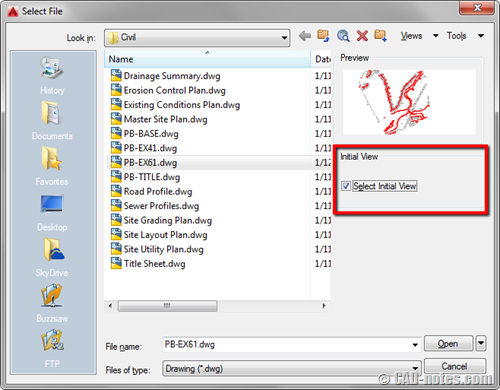 Have you used AutoCAD saved views yet? 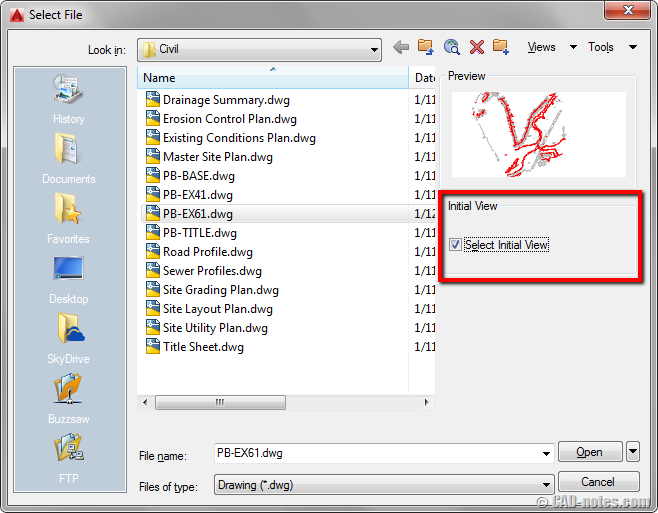 We already covered the benefits here: 5 Benefits of using AutoCAD saved views. It is very useful to use it, particularly when you work with a very large drawing. 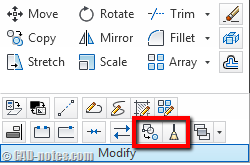 In this tip, we will see how we can use it when we open a DWG. Let’s see this sample file. This is a road plan, and the drawing is very large. You can create several saved views to quickly navigate to a part of this drawing. If you don’t know how to create a saved view, learn how to create a saved view here. 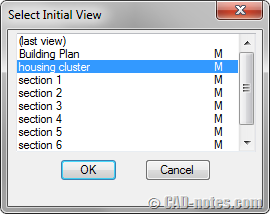 When you click open, on the right side of AutoCAD open dialog box, there is an option to select initial view. By default AutoCAD will open the location where the last time you save the file. If you activate the option and click open, you will see this dialog. In the list are saved views within the drawing. Select a view and click OK. This allows you to show an area immediately after you open the drawing. The more interesting this is the ability to open your drawing partially. If you have a very large file, you can choose to open a part of your drawing. You can open it partially by selecting the layers to load. 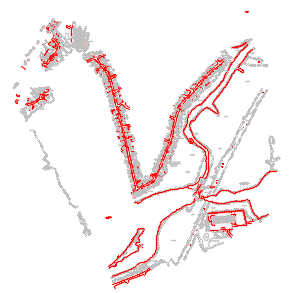 Or you can load all objects within a saved view boundary. It means you can load it much faster than loading the entire drawing, especially if the drawing is very large. In the Open dialog box, click the small arrow to see all options. 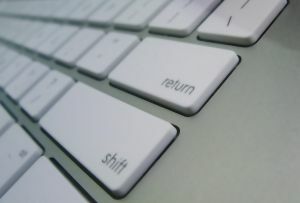 Click partial open. In the next dialog box, you will see the saved views list on the left side. Choose which one you want to load. 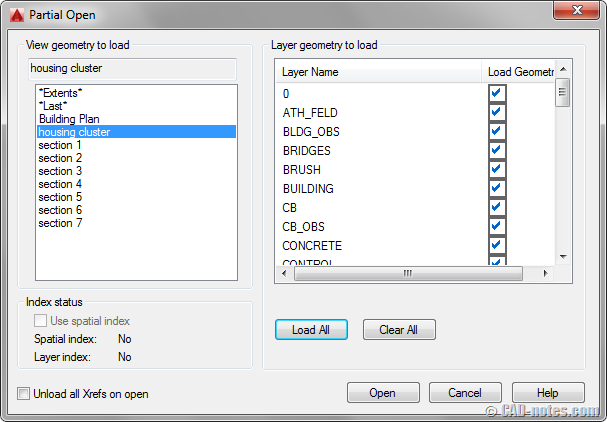 On the right side, you can choose which layers to load. In this case, I click Load All. 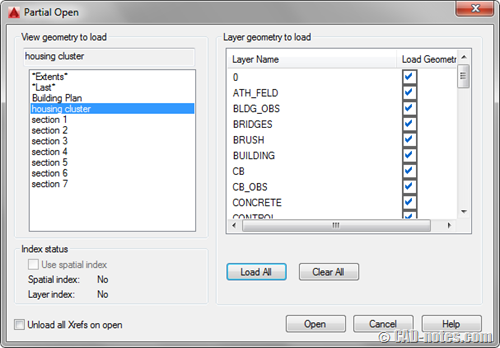 After you click Open, AutoCAD will load only objects within or crossing the saved view boundary. This is very helpful to open only small part of a large drawing. And also helpful to troubleshoot a drawing when your drawing is corrupt. I haven’t works with very large drawings for quite some time, but I wish I had known about this then. Nice post Edwin.